Join the JLBR at the 4th Annual Dr. Seuss birthday party diaper drive. The event will be at the Boca Raton Community Garden with admission being a pack of diapers. 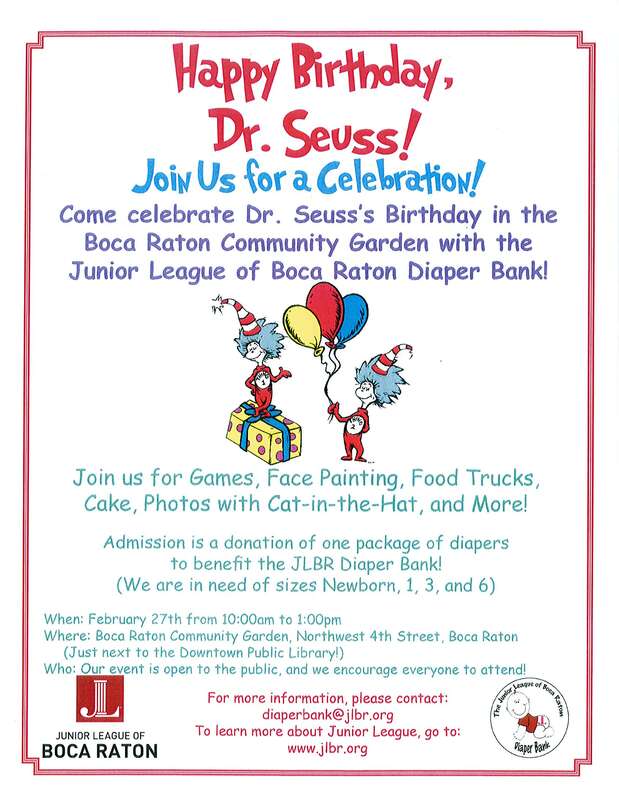 Bring family and friends and come celebrate Dr. Suess’s birthday with the Junior League of Boca Raton!